February 14, 2012 - DALLAS, Texas - Sikorsky Aircraft, a subsidiary of United Technologies Corp. (NYSE:UTX), has received an order for one S-76D helicopter from Swiss-based Air Engiadina. "We thank Air Engiadina for their confidence in Sikorsky Aircraft products," said Alex Sharp, Sikorsky European Regional Sales Manager. "The S-76D helicopter will bring outstanding safety, reliability, proven performance and value." 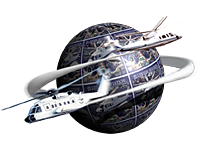 Air Engiadina, as owner, has operated an S-76A+ for more than 20 years in the VIP transport role in the United Kingdom under PremiAir Aviation’s air operator certificate. 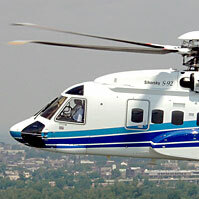 The company added an S-76C++ helicopter in 2009. The new S-76D aircraft will be operated in the UK or Switzerland for VIP and passenger flights. 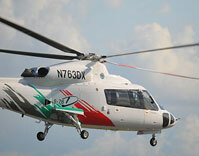 Sikorsky will deliver the new EASA-certified aircraft to Air Engiadina’s European operation in 2013. Sikorsky was assisted in the sale by UK sales representative PlaneSayling Aviation Limited. Air Engiadina is a Switzerland based company owned by Swiss Jet Ltd. operating fixed wing airplanes and rotorcrafts. All Swiss Jet-operated aircraft from Air Engiadina are in passenger, VIP, sight-seeing and aerial work missions. Air Engiadina aircraft operate from their home base at Zurich Airport or in Samedan, Switzerland, the highest airport in Europe at 5,700 ft above mean sea level.